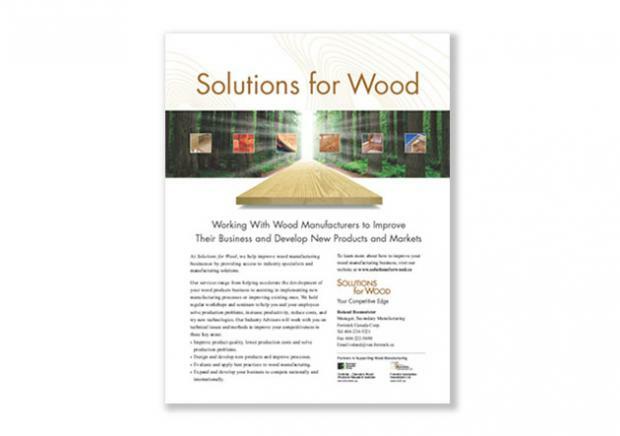 Solutions for Wood is an initiative that helps secondary wood manufacturers improve their businesses by providing access to industry specialists and advanced manufacturing processes. 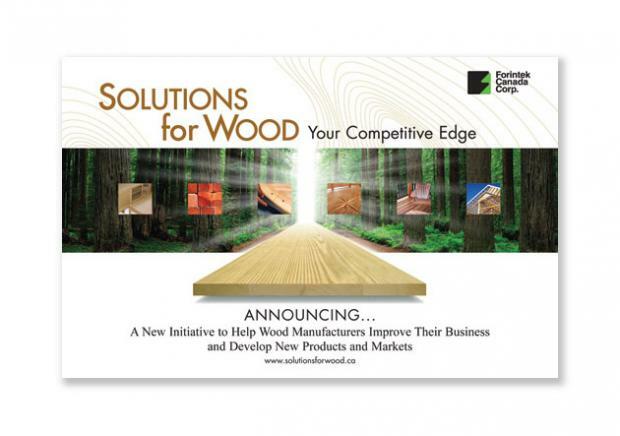 Originally known as the BC Tech Transfer Program, Solutions for Wood needed to raise awareness among the 1,300 wood manufacturers in BC and increase usage of their services. It also needed a better name and consistent branding to support the program. This required an understanding of the target audience and fine-tuning the key messages to be communicated. To ensure the new name would appeal to FPInnovations’ customers, NextPhase conducted research sessions with users to assess their opinion of the new name and concept. 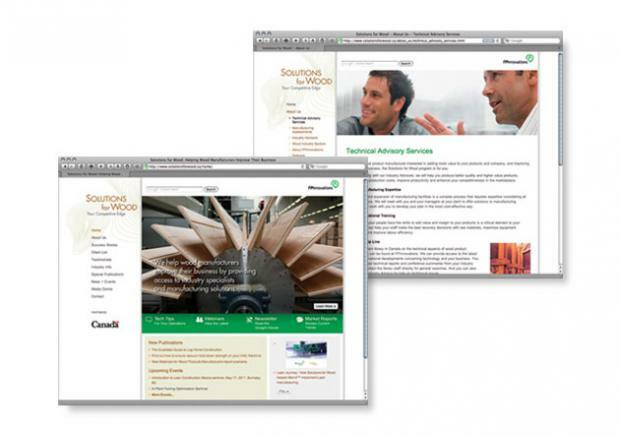 Once the research was completed, NextPhase launched a complete suite of on- and off-line collateral to support the awareness program. 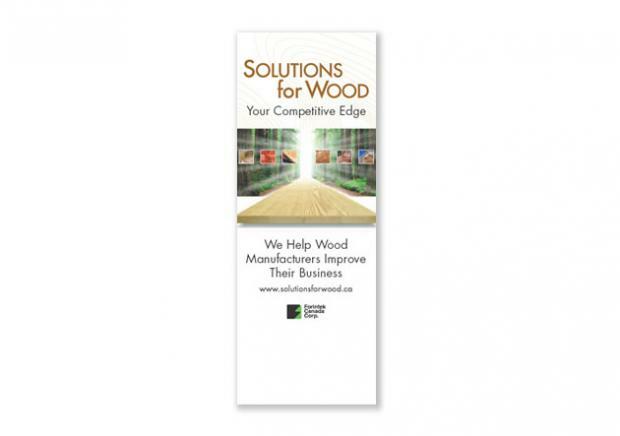 This included a logo, marketing brochure, website and direct mail / email launch announcement. 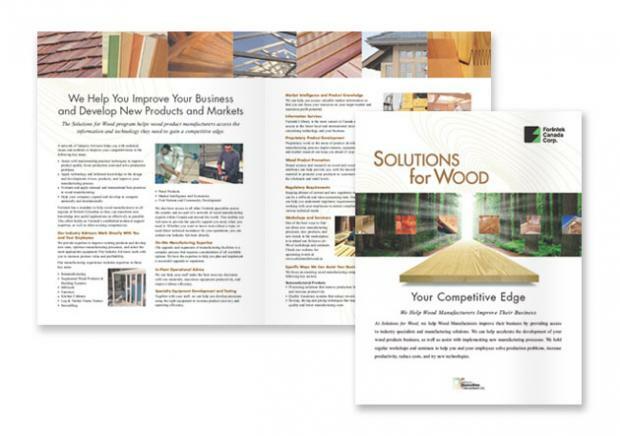 After the initial launch, NextPhase developed and implemented a regular email newsletter, ongoing public relations program, advertising, trade show banner and annual email customer surveys.